The new Optoma HD142X full HD home theater projector puts up a gorgeous image with good contrast, natural flesh tones, and plenty of shadow detail, all for a street price of just $579. And it is bright--when calibrated for optimum video it puts out over 1200 lumens, more than ample for dark room home theater. And you can double the light output if you need it for gaming in moderate ambient light. Beyond the great picture and low price, Optoma says the lamp will run 5000 hours in full power mode and even longer in eco, so you won't be spending much on replacement lamps. Rated at 3,000 lumens, the HD142X can tolerate high ambient light and still put up an image that is not washed out. With a contrast ratio of 23,000:1, there is still some pop to the image even in a sunlit room. 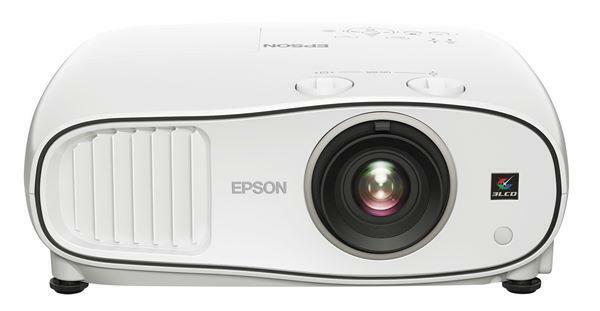 An unexpected bonus is that the HD142X can serve as a very capable data projector. In its preset Bright or Vivid modes, even small typefaces are rendered clear and sharp. The only data usage limitation is that there is no VGA input, so you need HDMI outputs from whatever your data source happens to be. One of the HD142X's two HDMI inputs is MHL-compatible, so you can display content from tablets, phones, and other mobile devices. While the HD142X may serve as an entry-level home theater projector, it really hits its stride as a projector for the living room or den when the crowd is over for some weekend entertainment. It is also small and light enough (5.5 lbs) to be used at work or on the road if HDMI sources are available. The video image from the HD142X was clear, sharp from edge to edge and top to bottom, and noise free. Cinema mode rendered very natural flesh tones, and after a slight boost in contrast and a reduction in brightness, highlight and shadow detail were well-defined. Black levels were excellent with dark scenes showing smooth transitions and small grey-scale differences easily distinguished. Rainbow artifacts were more evident than in some other inexpensive DLP projectors we have seen. Color wheel speed was not specified, but low speed wheels are usually responsible for rainbow artifacts. Some viewers are not susceptible to this phenomenon, but a trial viewing is in order before you purchase an HD142X. 3D performance was better than most in this price class with little crosstalk or noise. The HD 142X is compatible with IR-based 3D shutter glasses, but it also sports a connection for an RF emitter (optional) that eliminates the directional limitations of the IR glasses. 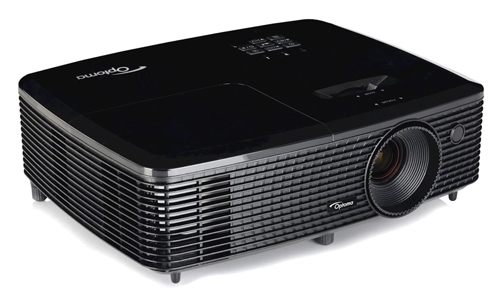 The 70% brightness uniformity is adequate for an entry-level home theater projector. It is good enough to keep any hotspots undetectable in most video scenes, but in slow panning with dark scenes one might notice that the lower right portion of the image is a bit brighter than the other parts of the image. The HD142X offers five picture mode choices: Cinema, Vivid, Game, Reference, and Bright. They each have their particular color and brightness biases, and they offer a quick way to get a good image on the screen with Cinema needing almost no adjustment at all. However, for those who are willing to spend some time to get the best image possible, the HD142X offers a wide range of image settings including four settings for color temperature ranging from warm (red) to cold (blue). The HD142X also offers ISF settings in the picture mode menu once an ISF calibration has been completed. An ISF calibration will dial in the "best" picture quality by technical standards that the projector can produce. However, quite often users find that they prefer calibrations that deviate from these standards since the projector is capable of producing more "pop" than it does when set to ideal calibrations. In any event, an ISF calibration is a significant investment on top of the price of the HD142X itself, so many users who are buying the HD42X due to its very attractive entry level price will probably not bother with it. Hi--we ditched the cable and work off rabbit ear antenna. The channel box has an rca cable that ran into my old projector and gave me my tv . Will I have the ability to watch tv with this antenna setup on this projector. Also have multi speaker setup with center channel, subwoofer etc--how do I get these into the mix with this projector?? Just purchased this HD142x projector a week ago. It only has HDMI inputs. Your RCA inputs won't work. You could get a converter box but then you would miss out on all the amazing HD 1080i content over the air now. In my opinion its WAY better quality than cable(digitally compressed). I spent $30 for Mediasonic Homeworx HDTV Digital Converter Box with Recording. It's available on Amazon.com If you have a USB thumb drive you can record shows too much like a DVR. You can also pause Live TV. This projector does not have a pass through for Audio other than a 3.5mm headphone Jack. If your audio receiver has RCA inputs the Homeworkx HDTV box has RCA out as well as HDMI. If all else fails you could get a 3.5mm to RCA adapter. Over all the projector is okay (good for the price). Picture definitely "Pops" even in a lit room. Where this projector shines is in the 3D mode. Its truly amazing! However, watching regular movies (non 3D) there is a lot of Black Clipping. This means that greys that should be visible are made black instead(not visible). I've tried for hours to adjust this but to no avail. What is strange is that in 3D mode Black Clipping is very minimal. If anyone has any suggestions on settings they would be greatly appreciated. The only reason for this projector to be in this list is because of price. But for about $100 to $200 more you can get a really good projector. With larger image and basically no rainbows. This projector makes a good image, but it shows its price in light unevenness, crazy rainbows, and smaller projection size. Try BenQ instead, it is a superior product.